If you can even believe it, a one-time presidential candidate who just endorsed Donald Trump doesn’t understand how the Constitution works. “If the protesters continue with their (Saul) Alinsky-like tactics, there is a real possibility of escalation,” the famously soft-spoken Carson warned. 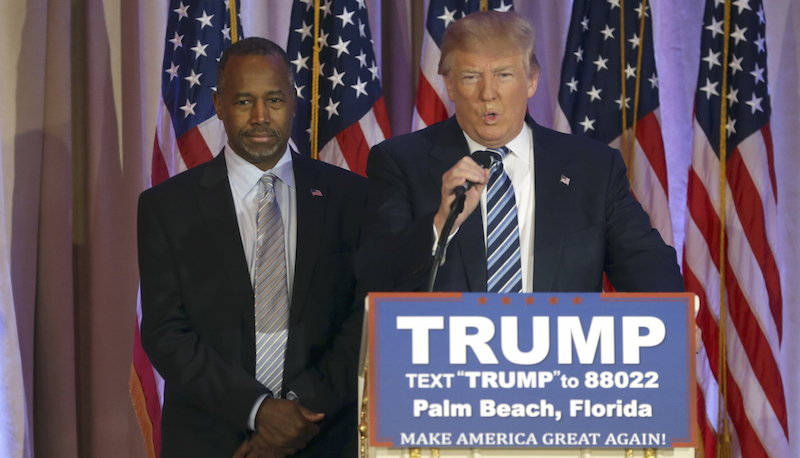 Carson also criticized anti-Trump protesters for infringing on his supporters’ First Amendment rights. Again: Private citizens cannot infringe on other people’s First Amendment rights, because that is literally not how the Constitution works. Then again, with Donald Trump explicitly encouraging his supporters to “knock the crap” out of protestors, it’s a wonder his surrogates recognize the rule of law at all.